Oh yeah forgot about them, thanks. I had no idea the Murphy's were that good, they're no Maguires but as brothers go they're eye catching! Cracking attempts lads! Iran does have some decent players and also look in China. They have some decent players playing in the Korean League. Thanks, don't think my attempt was very good though. 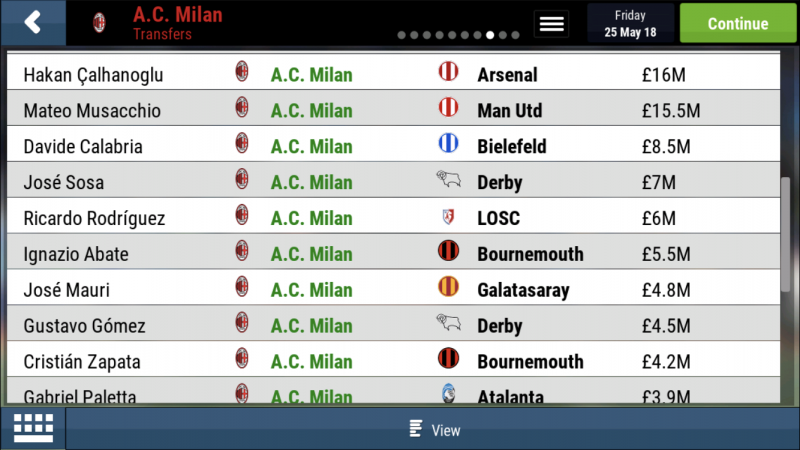 AC Milan is where we had to venture next and for this challenge we had to offload every non Asian footballer and sign only Asian players which I must admit was a lot harder than I had anticipated and took an absolute age and took a lot of searching for decent Asian talent that would be up to the standard of the Italian top flight. 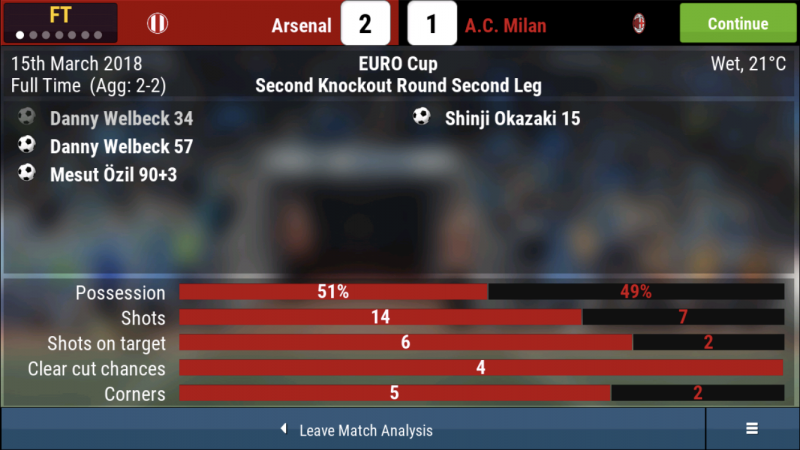 I must admit the quality of attacking players were pretty good but defenders and goalkeepers were really poor, it could have just been my poor scouting skills/lack of knowledge of Asian players but I couldn’t get any top quality defenders. So who did we bring in. So building a team from scratch wasn’t to bad, especially as the kitty was pretty good and once the talent was sold we had a good amount of dosh to spend on bring players in. 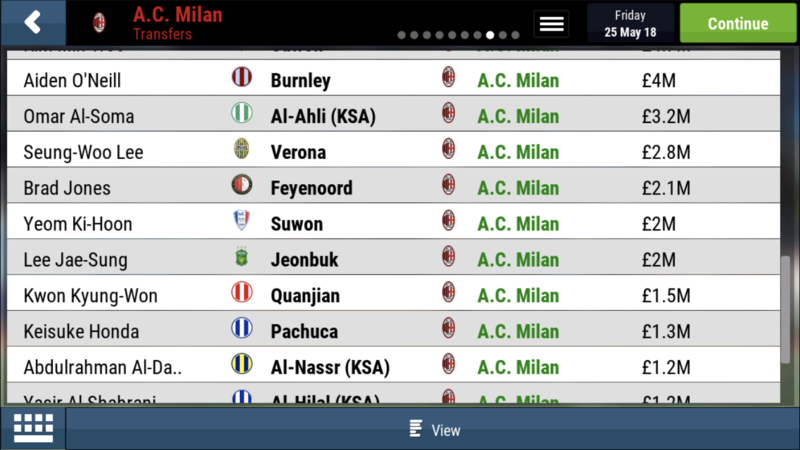 As you can see we had a good mix of players from different countries from the Asian continent. So we started off the season with inconsistent results and being very leaky at the back which cost us a fair few points but once the team had played for a while they seemed to settle and become more consistent but we still had a few niggles with injuries and poor form through the season and remained very leaky at times. 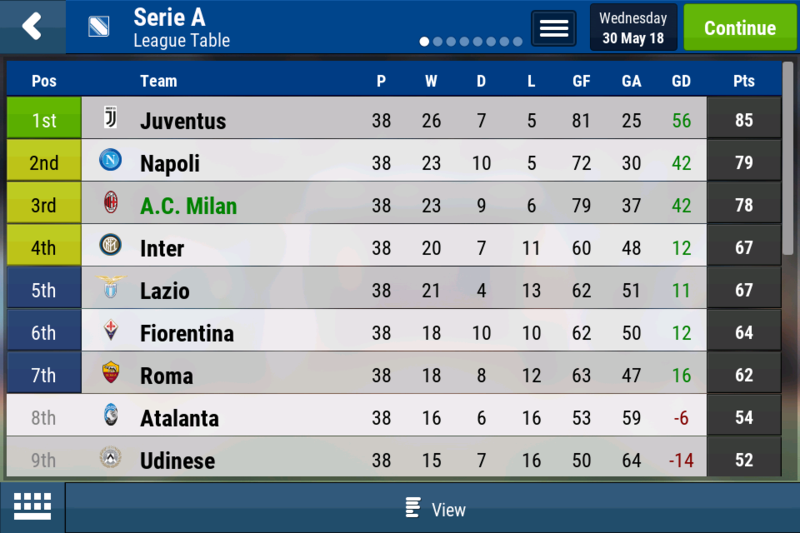 We had a fairly solid cup run getting to the final in both cups but I would say by the skin of our teeth winning some games by away goals and against the run of play which was nice for a change. 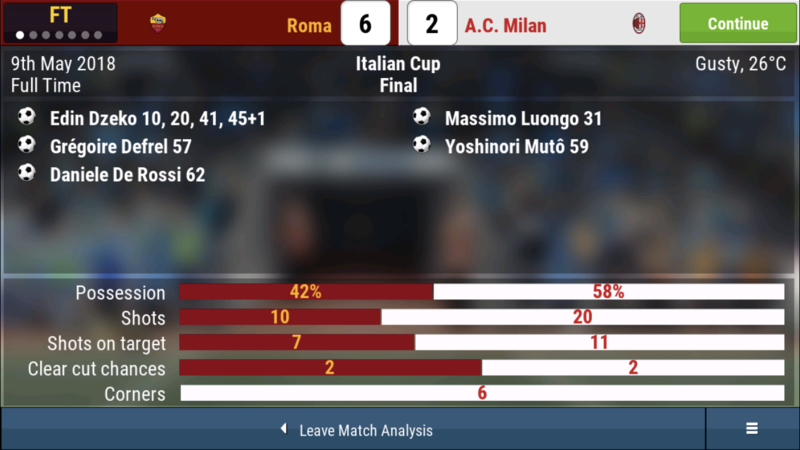 We lost in the Italian cup final against Roma 6-2 though it was a thumping and against the run of play. Beating Arsenal on away goals, not the way I like to win but I’ll take it! We made it to the final and we bossed the match and had our star striker fit, which made the difference here I think. 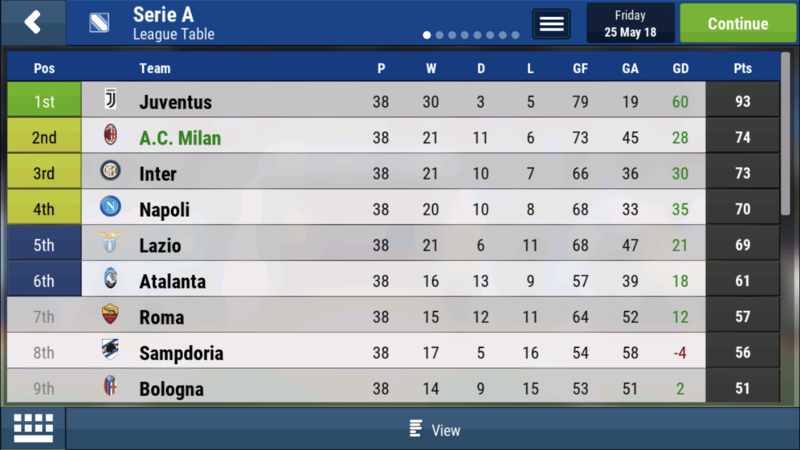 So how did the players do? Considering Muto was injured for roughly 3 months and missed half of the games he was able to play he did externally well when he was fit, snapping up player of the year. Muto and Leckie making the team of the year. 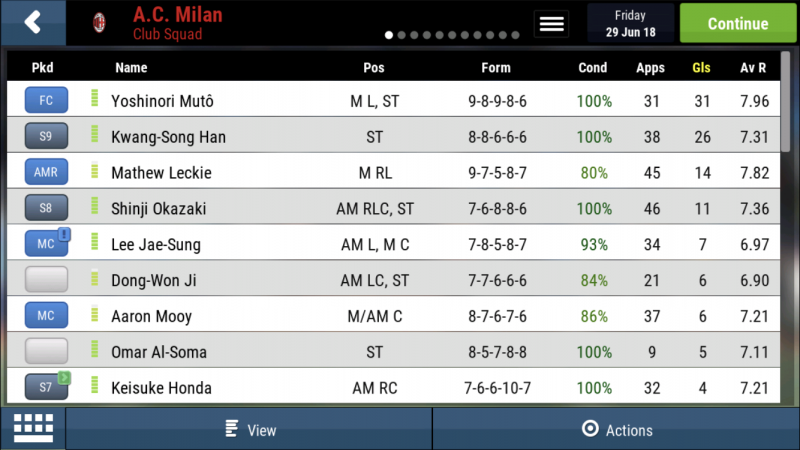 As you can see our youngsters Kwang-Song Han did pretty well and at one point I thought would be our top goal scorer but his for was very inconsistent and more likely due to his age but he did very well for us in Muto’s absence. Great result mate considering the talent you had. 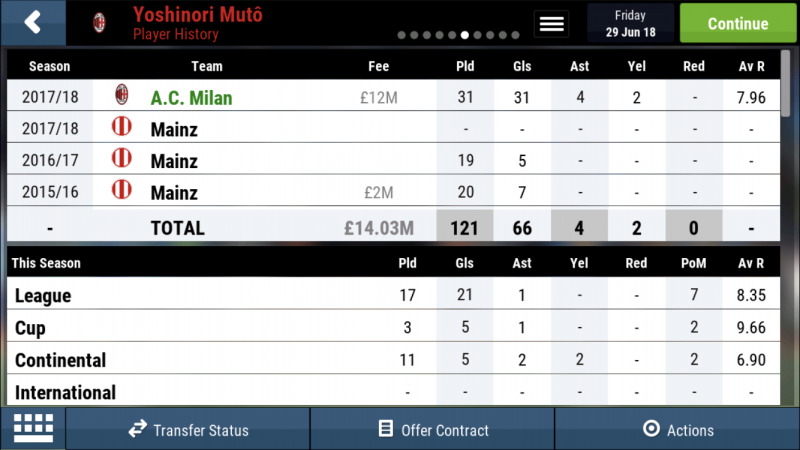 Son refusing to sign was a big disappointment but Muto managed to step right up the plate. 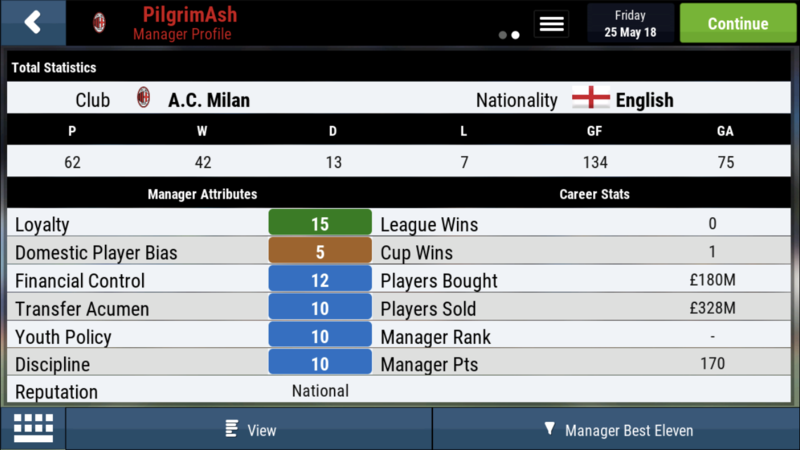 Too bad he missed so many matches due to injuries. 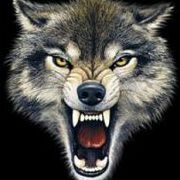 I know I was surprised to be honest but I think we were able to out score most teams and hit them with are speed and attacking quality but defensively we were poor and tended to concede heavily or against the run of play. I know I was disappointed not to sign son but Muto did step up and was prolific when he played and Han Kwang-song stepped in did a good job when he was injured. I am having a similar challenge to my H2H with @Damilare, so hopefully i am able to get the same kind of performance. I know I seen that @Foxy had set you a similar challenge, I believe your attempting it with Africans which should be interesting, I think these kind of challenges really help build up your knowledge of different countries players, some you wouldn’t normally come across or consider. It definitely is a great challenge to do. Hopefully you have the same kind of performance too, it will be interesting to see how you both perform and who you choose player wise. 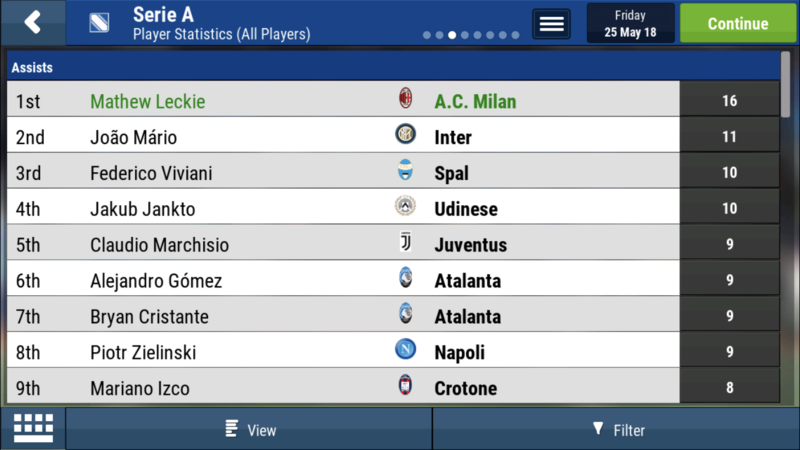 I wanted to go for Asian players but tbh Porto doesn't have deep pockets like AC Milan and so decent players from Asia in that budget is out of question. So, Africa also for me. Great work @PilgrimAsh - I think that's an excellent season given the players must have been of a lower standard than the ones already at the club (they were, right?). Super impressed mate! 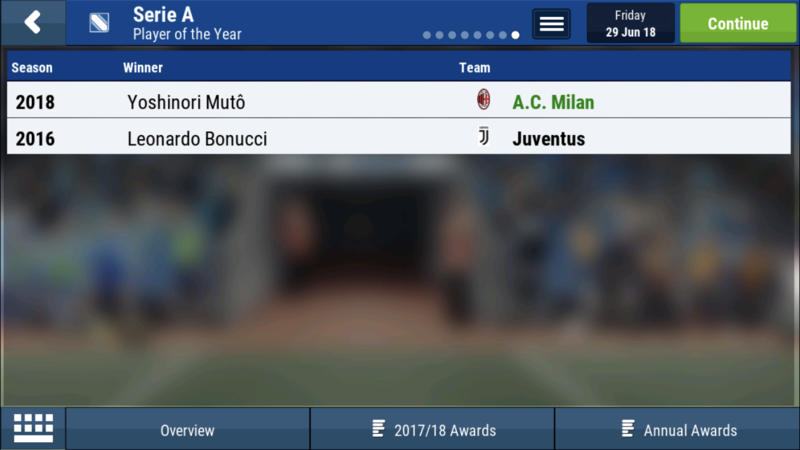 I knew one of you were going for African but couldn’t remember which, but seems like you both are, wonder if you will sign similar or have different player choices. 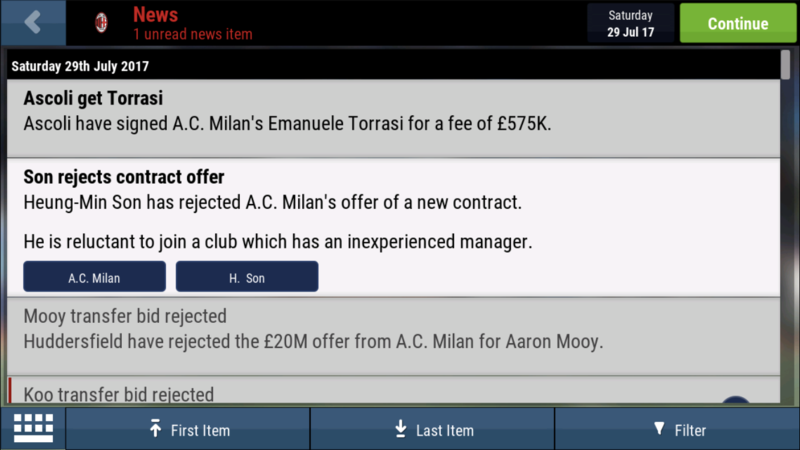 Yeah we were pretty lucky with AC having a fair amount of money and high value players that we could offload to generate some money to sign some decent players. Thank you, yeah I’m pleased with how we did especially with the drop in quality like you say, it was tough letting them go! 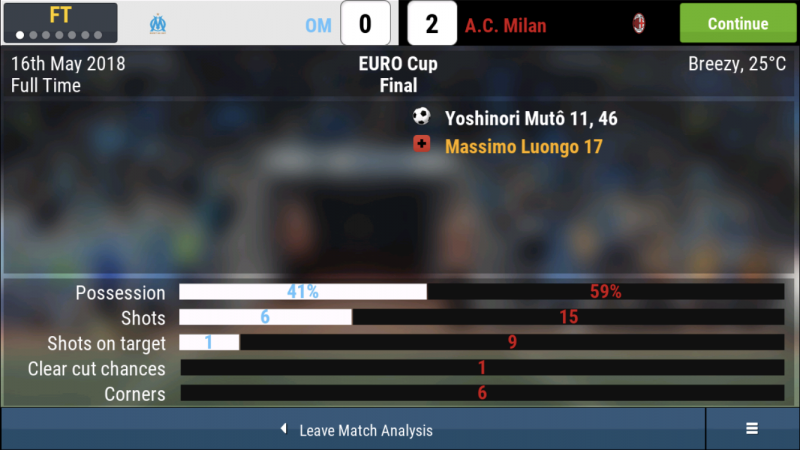 I was shocked by how good the Asian attacking players were though, definitely be using some of them again in other saves. Thanks mate, I know tell me about it, I’m happy with how we did on the whole but yeah it could have been much better. Sorry for the delay but here is my score. Great effort from both of you. Looking forward to the next challenge.